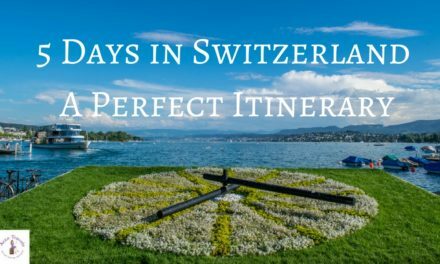 There are tons of reasons to visit one of the most beautiful countries in Europe (also known as Switzerland). Stunning scenery, lovely little towns and villages, the most amazing lakes, and of course, gorgeous cities. Though these are just a few reasons, you will quickly discover more once you are in the country. While it is easy to discover the beauty of the country, it is a bit more difficult to find the perfect accommodation in Switzerland. I mean, just finding one nestled among the beautiful landscapes is quite easy. 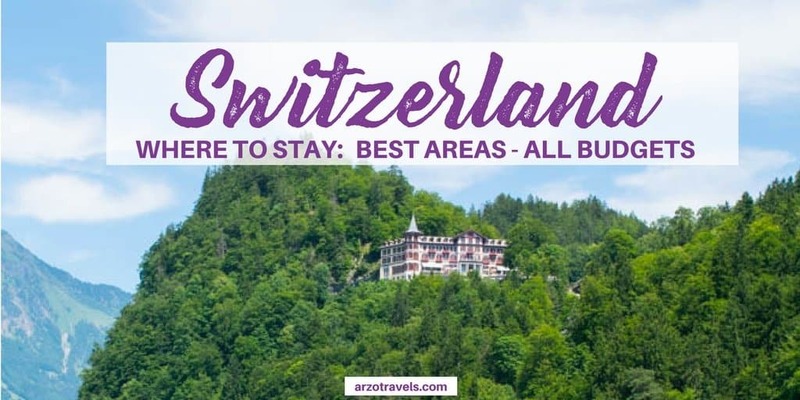 But finding one for each budget (especially if you do not want to spend a small fortune) is not that easy, which is why this wonderful post will help you find the best place to stay in Switzerland. I have listed a few of my favorite places all over the country, naming reasons why you should stay in an area and giving you a few of my favorite choices for hotels. Tip: Each area charges an extra tax on accommodation. It depends on each district how high the tax is (roughly around 1-4 € a day, per person). You often, not always, also get a guest card in return. Some districts are generous – you can use publictransportationn for free and sometimes you get access to some attractions / or a discount. However, this really changes. Zurich is a perfect base. It is big enough that you will not get bored, with nightlife, loads of restaurants and cafes, and plenty of activities and culture around. 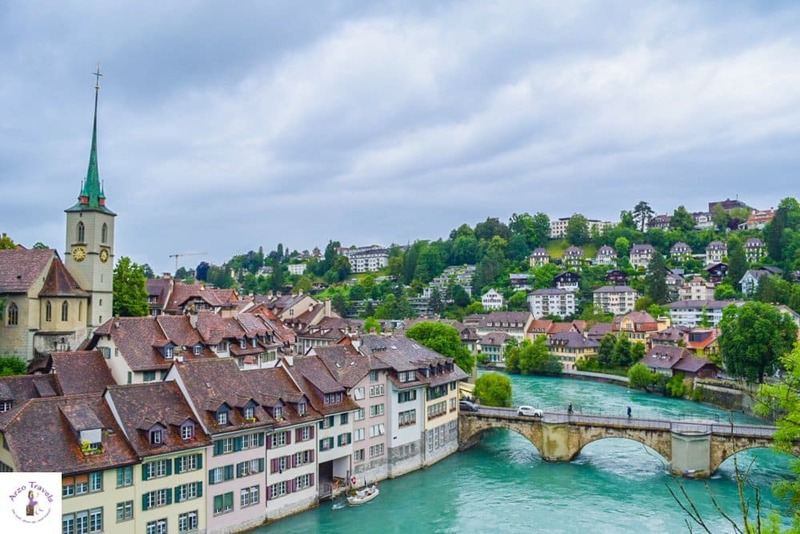 It is quite close to the main Switzerland attractions, like the Rhine Falls; the world-famous cliff mountain guest house, the Aescher in Appenzell; Lucerne; Stein am Rhine; and Schaffhausen. The city itself is home to a very expensive shopping street, the Bahnhofstrasse; many clubs and bars, as well as museums; and of course, Lake Zurich. For more tips on what to do in Zurich click here. Here are some tips for places to stay in Zurich. If you are looking for a luxury hotel in this beautiful city, go for this one. It is definitely a good choice. 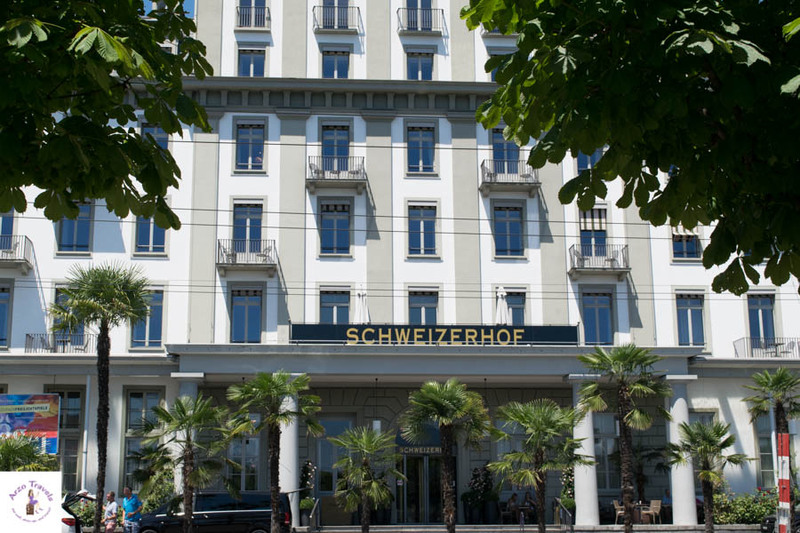 This beautiful 5-star hotel is located right next to the Bahnhofsstrasse, Lake Zurich and close to several tram and bus stations. Whether you enjoy the view from the hotel, relax in the private garden or walk to the lake or the city center – you will have plenty of options to discover places close by while staying in one of the best hotels in Zurich. 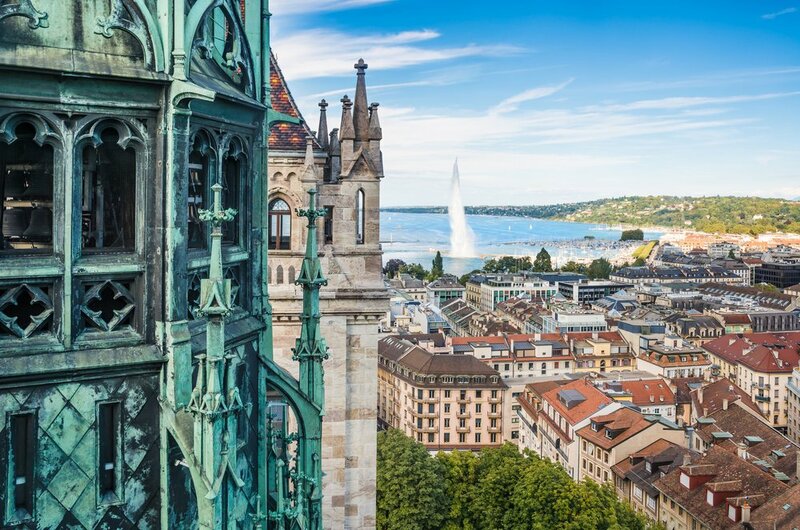 This four-star hotel is not located directly in the city center, but thanks to the amazing public transportation in Zurich, you can get to the city center quickly and easily. It does not look very inviting from the outside (though it is located in a lovely, quiet village-like area), but it is actually very nice on the inside and offers all you need, if you are not looking for the luxury of a five-star accommodation. You even have access to the gym and a large pool, and of course, the famous Mövenpick restaurants serve excellent food! Bern is probably one of the prettiest capitals in the world. Though it is quite small (way smaller than Zurich), it is the official capital and actually a great place to stay. Due to its location, it is the best place to get around from – whether you head to Interlaken, or the Italian- or French-speaking parts, many train connections are via Bern. But there is a lot to do and see in Bern, too. Visiting the bears that live at the Aare River, right in the heart of the city center; strolling the old town, which is a UNESCO World Heritage Site (yes, the whole beautiful town is one heritage site! ); or enjoying the views from the Rosengarten on the house mountain, Gurten – these are just a few reasons to pick Bern as your location. This 5-star luxury hotel is the most luxurious one in all of Bern. Its very central location (right in the heart of the Old Town) makes it convenient to walk to many main attractions in Bern. Its classy interior and the amazing views from the rooftop restaurant makes it a perfect place for those who like to start and end their day in a top-notch hotel right in the capital of Switzerland. This 4-star hotel is also located right in the Old Town of Bern which comes very handy as you are just a stone throw from the train station and main tourists spots. The hotel is not very big (69 rooms) and you can choose between single and double rooms. 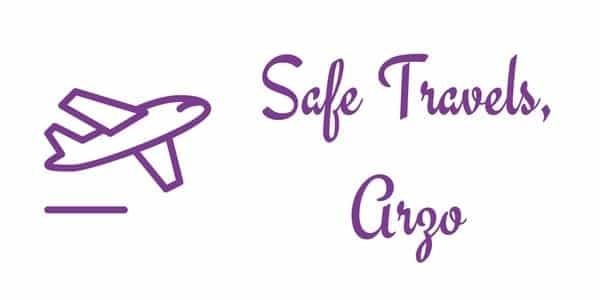 It is surely a great choice for those, who do not want to spend a fortune on accommodation while still staying in a decent hotel with a great location. Unfortunately, Bern, like many other tourists hot spots in Switzerland, do not offer many budget hotels. Many cheaper options include the fact, that the restrooms are shared. Lucerne is probably in the top 3 most popular tourist destinations in Switzerland. It seems that all visitors are crazy about this small city that is located on the shores of Lake Lucerne. Well, it actually does not surprise me, as the scenery is amongst some of the most beautiful around. Mount Pilatus, Mount Rigi, and places like Weggis or Vitznau make it a great area for a Switzerland vacation. The city itself is also perfect for some nice evening strolls (with the Chapel Bridge as the main tourist attraction) or walks along the lake. It is probably the most romantic place, so perfect for love birds that want to enjoy their honeymoon in Switzerland. This iconic luxury hotel is the best choice for a stay in Lucerne. It is a festival hotel, and though I did not experience a concert during my 2-night stay, I fell in love with the hotel. Friendly, charming, and with a fantastic location, it is for sure a hotel you cannot go wrong with. While the wellness part falls a bit short, the location (just in front of the lake and a stone’s throw from the Chapel Bridge) and the atmosphere make up for it. Lucerne, without question, is a treat for the eyes, but unfortunately, not a treat for your wallet. It is expensive. And so, this simple but sufficient hotel is a good choice if you are on a budget. It is only a 10-minute walk to the lake, and if you do not need luxury and still appreciate a clean and friendly place, this is your best option. If you are wondering about the best place to stay in Switzerland I would probably say: somewhere in the region of Interlaken. If you visit Switzerland, you cannot – no, you should not – miss out on Interlaken. It is one of my very, very favorite areas in the whole wide world (it even makes me write like a teenager in love), and despite the high prices in summer and winter, I keep going back. Its beauty is almost overwhelming. The prettiest lakes, the most stunning mountains, the cutest towns and much more: that region has it all. Even for Switzerland standards, the region is expensive – but given its gorgeousness, it is worth the money. 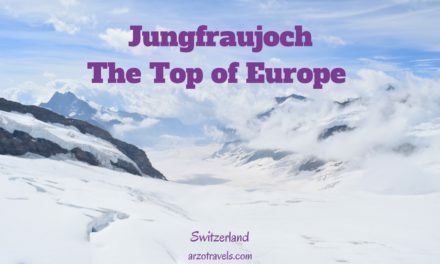 Visit the St. Beatus Caves, Brienzer Rothorn, Jungfraujoch, go skydiving, and much more – you surely will not get bored in this region. Though Victoria Jungfrau does not look very impressive from outside, it is the most luxurious hotel in Interlaken. 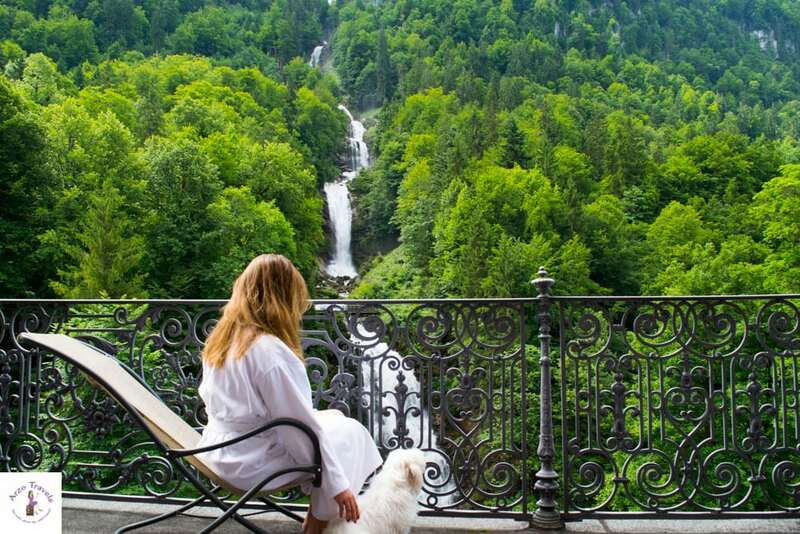 Located right in the heart of Interlaken, amid beautiful mountain views of the Bernese Highland, this is the hotel to stay in if you are looking for the most luxurious place that the area has to offer. The hotel leaves nothing to be desired, and if you have the budget this hotel is the perfect choice in the perfect region on Interlaken. Though it is only a four-star hotel it is fantastic in each single detail. The best views, the most stunning sceneries and the most interesting, historic interior design makes this a perfect hotel in Switzerland. Even the food in the restaurant is delicious, so if you head there from April-October (it is closed in winter), this is a good choice for your trip to Switzerland (and make sure you book a room with a waterfall or lake view). For backpackers, the Interlaken Youth Hostel might be the best choice. It is located right next to the Interlaken East Station and between Lake Thun and Lake Brienz. Though the room prices are not necessarily backpacker friendly (but hey, Switzerland is not known for offering bargain holidays), it is one of the most popular backpacker destinations in the region. You can rent bikes, play billiards, or join a game of ping pong. If you like more privacy, book a single room with a private bathroom, or a family room. Book a dorm if you prefer to socialize and want to save more money. Toblerone! Well, when I found out that the Matterhorn is printed on the Toblerone chocolate, it was a real eye opener. 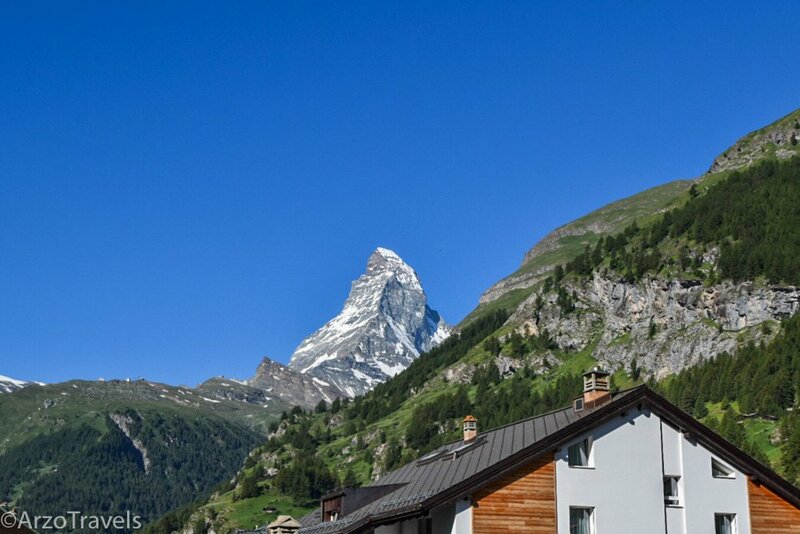 After all, this astonishing mountain is the main attraction in Zermatt, and one of the most impressive natural wonders in Switzerland. As a ski resort, it is a perfect destination for the winter, but also for the summer (and prices are lower in summer for basically all hotels). This accommodation is a lovely four-star hotel. 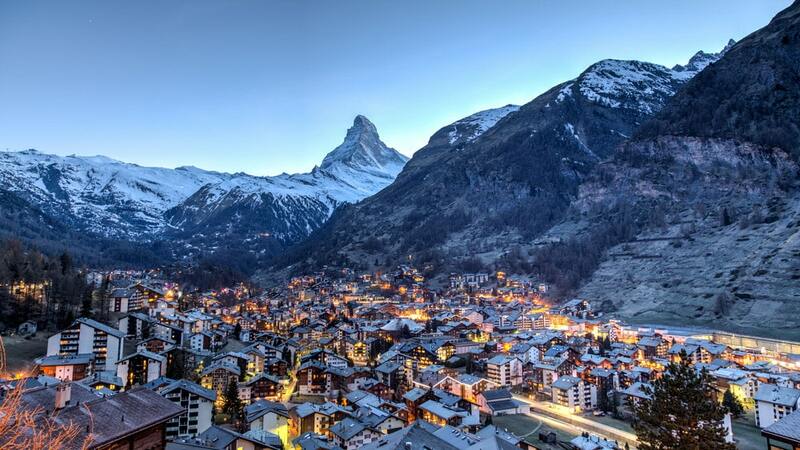 Since Zermatt is quite small, most hotels have a perfectly central location, and so does Sunstar Style Hotel. The hotel has a rustic Swiss charm and you can walk to many Zermatt attractions, as well as the shopping street (mostly for luxury watches). The cafes and restaurants are just around the corner. After Lucerne, Montreux is probably the best place for love birds. Walking along the most beautiful water promenade in Switzerland while watching the sun set behind Lake Geneva is quite romantic. However, it is also a perfect Swiss destination for everyone else. 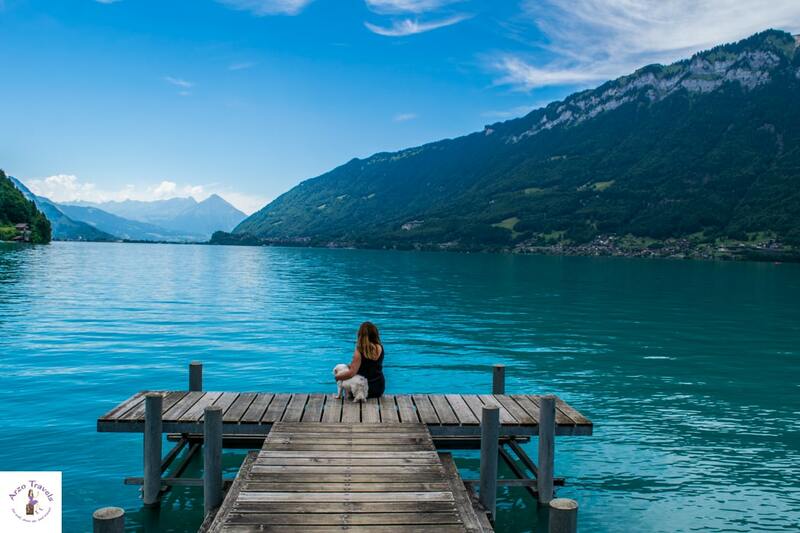 Whether with kids, as a solo traveler, or with your friends, Montreux is a good option for your Switzerland holiday. 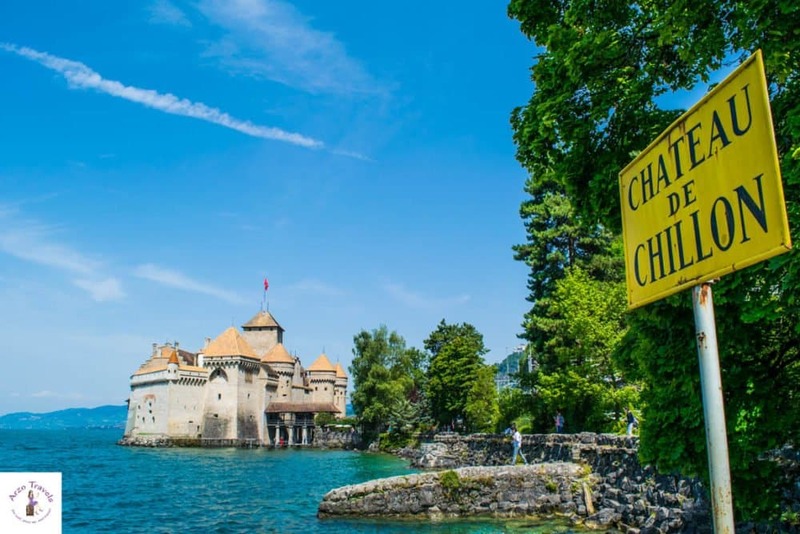 Stroll along Lake Geneva, visit picturesque Chateau de Chillon, and overlook the most impressive vineyards – Montreux might be small, but there is plenty to do and see in the area. 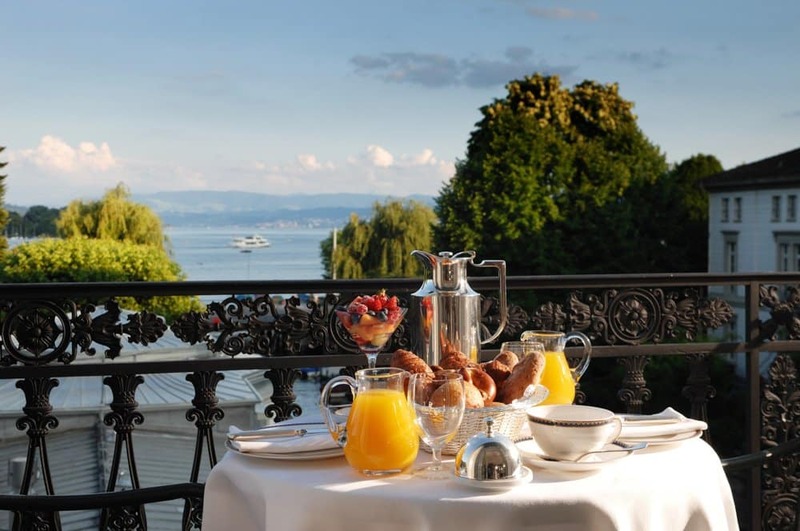 This is a lovely and friendly four-star hotel right on Lake Geneva – which is quite handy, as the hotel has no pool and you can easily take a dip in the pristine water of the lake in front of the hotel. The hotel itself is bright, friendly and most of all has a fantastic location. You can stroll Lake Geneva and have many restaurants and cafes close by. Getting to Chateau de Chillon(one of the main attractions in Montreux) takes about 30 minutes (including some stops to snap pictures of this beautiful area). All rooms come with a view of the lake, and if you start your day with a breakfast on the terrace, the day cannot go wrong! I, personally, love Geneva, but I see many people returning disappointed. Geneva is a city with quite a lot of history. 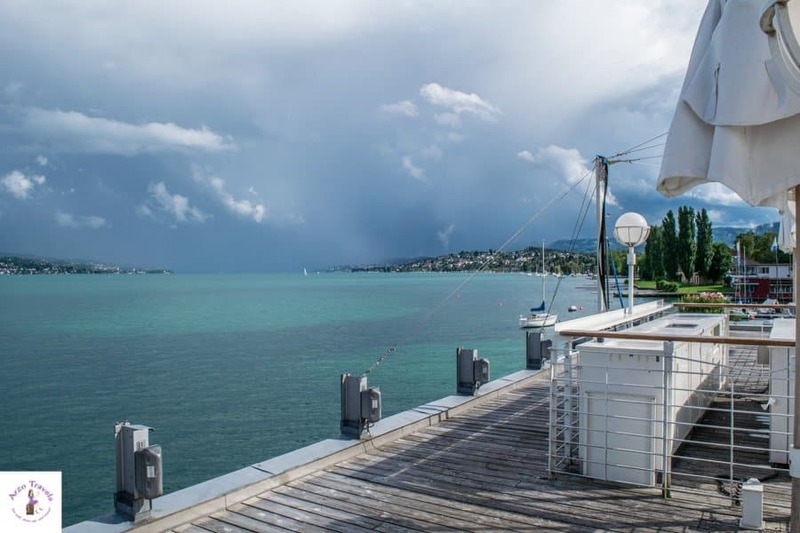 The Geneva Conventions, the International Committee of the Red Cross, and the United Nations – if you are not into politics, or into luxury watches, you might not love it (but I am also nuts about Lake Geneva). On the other hand, if you are into these things, you will enjoy it as much as I do. As I do not have much luck with the hotels in Geneva, I can only recommend this one. This hotel is fun. And stylish. And extremely colorful. So, it does not surprise, that I loved it. While there was no pool or any super facilities (apart from the Nespresso machine and very cool light), the proximity to the lake (just a 1-minute walk to the lake and a 5-minute walk to the busiest part) and the friendly and bright interior make up for it. Whenever you are in Switzerland, make sure to plan in some time for the Italian-speaking part of the country, too. I admit, that part of Switzerland sometimes comes up short in my posts, but you can believe that it is beautiful! Do not miss out on this area. 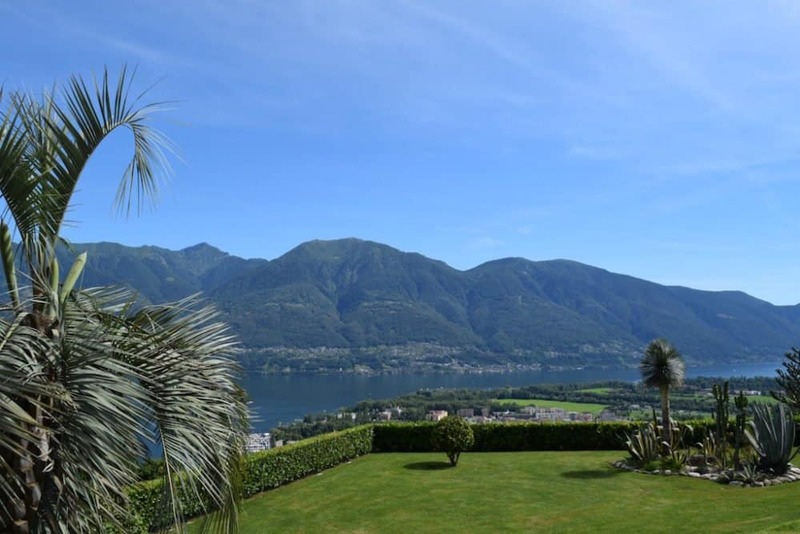 Lake Maggiore, Lake Lugano, the Alps, the waterfalls along the highways, historic castles, and…Valle Verzasca, these are just a few reasons to stay here. And on top of that, the people here a bit louder, friendlier, and livelier. 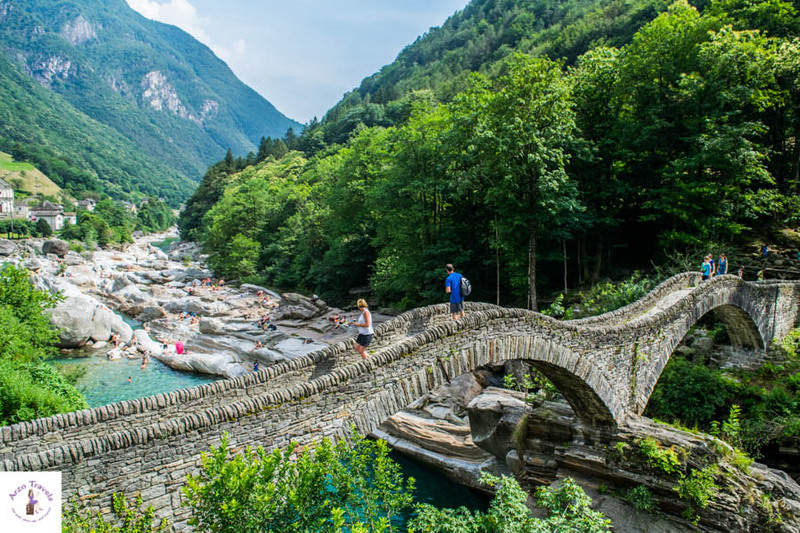 This spark of Italy makes a trip to Ticino even more beautiful. To date, this is probably my favorite hotel. If you want to feel ZEN, then book your stay here and enjoy a dinner at the restaurant with a view of Lake Maggiore. I have never felt calmer or more at peace than here. This has probably influenced my perception of the hotel, but since the hotel was named the best hotel in Switzerland, I am not the only one who fell head over heels in love with it. The hotel is small and has less than 30 rooms and suites – all rooms have a view of Lake Maggiore and so does the restaurant (where you can have a fantastic dinner or breakfast) and the pool. Whether you have your spa time in the spa area or just take some spa time in your own bathroom (there is a sky ceiling, meaning little lights in the ceiling which you can turn on an off and which makes it looking like a beautiful sky with stars), or swim in the outdoor pool, nothing is left to be desired. Lugano is another place to visit in Ticino, and if you are looking for a budget hotel, book a stay here. This hotel is quite small and might be booked quickly, so make sure you get your bargain (*bargain by Switzerland standards :)). The rooms are small and simple, but clean; the staff is friendly; and the location is not bad! 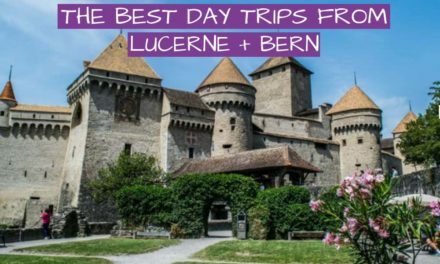 I hope, this post has helped you to find the perfect area for your Switzerland trip, and you have found the perfect accommodations. Planning a trip to Switzerland but have not figured out your itinerary yer?